Spider-Man does a pretty stellar job in capturing the energy and details of a city as sprawling as New York is. Alleys are decorated in trash bags and stagnant puddles, the sidewalks are lined with newspaper machines and windowed storefronts, and the entire city is littered with graffiti murals both big and small. The level of attention paid to something as minute as decorative graffiti (designed and painted by real-life street artists) is both a testament to the detail Insomniac put into their world, and a way of paying further homage to the characters of Spider-Man. 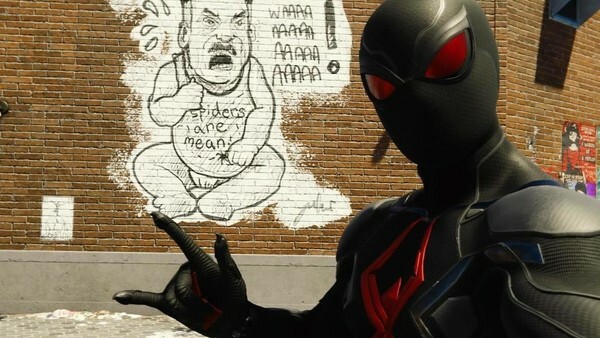 Most of which being secret photo locations (or linked to side quests, in Black Cat’s murals), New York is smeared with various brick-bound murals of Rhino, Scorpion, Black Cat, J Jonah Jameson and many more. 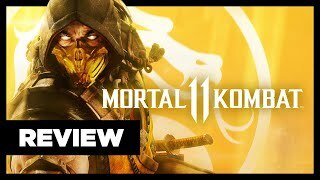 A smart way of deepening the mythos of Insomniac’s Spider-Man and capturing the famed street art of New York, Spider-Man’s street murals are a joy to discover and photograph in your open world exploits.